Home - Arwood Waste of the Northeast - Rent a Dumpster or Portable Toilet from Arwood Waste. 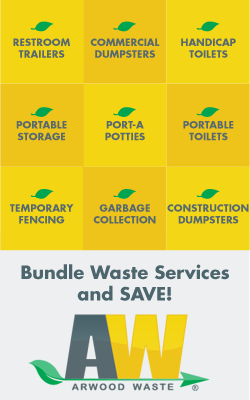 Rent a Dumpster or Portable Toilet from Arwood Waste. Arwood Waste offers both front-load, rear-load, and roll-off commercial compactor dumpsters. With their heavy-duty construction and sturdy design, our dumpsters are ready for any industrial task, big or small. We can provide expert advice on placement, weight limits, hazardous material and other waste management issues. The experts at Arwood Waste can help keep your site up to the highest standards. Ask about our free waste analysis when you call 646-719-0751.